Jumbuck Sheepskin & Leather is an Australian family owned business based in the Macedon Ranges township of Gisborne, Victoria. We specialize in quality Australian sheepskin products including car seat covers, ugg boots, slippers, moccasins and medical skins. 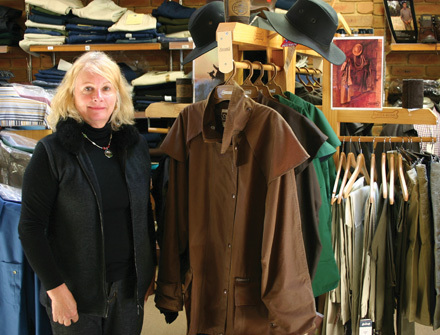 We also stock Australian made leather jackets, fine merino, possum and alpaca knitwear and country styled clothing. We offer a broad range of country lifestyle products which include brands such as RM Williams, Thomas Cook, Akubra, Drizabone, Yarra Trial, Euroa, Wrangler, Hunter and Jacaru. Since our establishment in 1972 we have earned the reputation as a business that is highly regarded in the local community. A must visit shop whilst in the Macedon Ranges. The business was established in 1972 and operated as the Skin Inn selling mainly sheepskin products which were manufactured onsite by one machinist. In 2005 the business changed hands and direction under the leadership of Ron and Maxine Yates. 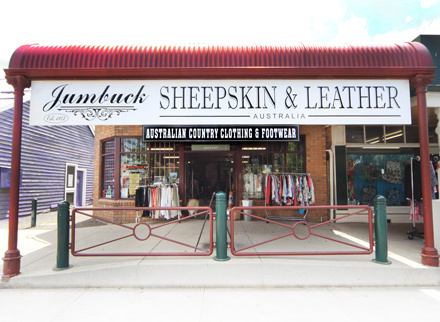 Under the new banner of Jumbuck Sheepskin & Leather Australia the business expanded to offer only top quality merchandise and where possible predominantly Australian made products. Over the past 10 years Jumbuck has strived to be the very best in all areas of customer service, this is achieved by employing only well trained staff with exceptional product knowledge. Jumbuck has won many awards including the Leader Business Award for the Best Speciality Retail Service several times and Excellence in Retail Award Macedon Ranges Business Excellence Award. 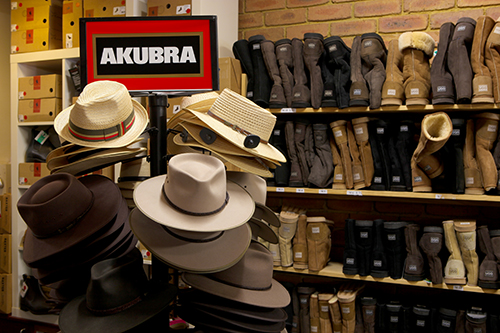 We have one of the largest range of Australian sheepskin boots in Victoria making Jumbuck a ‘one stop shop’ in Ugg Boots. We offer after sales advice on care, cleaning and repairs. Jumbuck is open 7 days a week and offers a free delivery service to customers living in the Macedon Ranges. As part of our customer service Jumbuck provides support to the elderly and disabled customers who are unable to travel to our store by visiting them in their nursing home or community residential unit. This gives many customers the opportunity to view sheepskin slippers and medical rugs in their own homes. We offer personal and online shopping, we ship nationally and overseas by arrangement.